Come and meet our resident Tassie Devil’s, Topsy and Bub in Devils Den. Learn more fun facts about these Devils and how this iconic Aussie animal is facing the real threat of extinction in the wild. Learn about Ringo our resident wombat and the dangers that wombats face in the wild. Ringo was orphaned as a baby and adopted by WILD LIFE Sydney Zoo – you can hear his story at our Wombat Keeper Talk. Make sure you stay around to help feed Ringo for only a gold coin donation that goes to the WILDLIFE Conservation Fund which supports wombat rescue at ‘Sleepy Burrows’. Learn fast facts and about the conservation issues facing crocodiles in the wild. Our keepers will take you on an amazing journey of discovery to Australia’s Kakadu Gorge. When it’s time to feed our flock of cheeky lorikeets, we need your help. Our friendly and playful red collard lorikeets are far from shy and will enjoy sitting on you whilst eating some of their favourite food. A unique and interactive opportunity, this is one experience not to be missed. Who doesn’t love an animal story! Aimed at our younger guests; join one of our keepers for some story book fun and an interactive animal experience. Encounter some of the furry and scaly creatures that call the heart of Australia home. From our quirky quokka resident and gentle echidnas, to the mysterious and misunderstood snakes and lizards, this show offers hands on experiences with our friendly animals. Meet arguably Australia's most iconic animal at Koala Encounters. Koalas live the typical laid back, 'no worries mate' Australian attitude and lifestyle better than any other animal- sleeping for around 20 hours a day! You will have the chance to hear a keeper discuss the world's third largest bird! Feeding time for the world's deadliest bird occurs daily at 1.15pm after the talk so make sure you stay around to help feed Princess our male cassowary for only a gold coin donation to the WILD LIFE Conservation Fund that goes towards helping rehabilitate rainforests for cassowaries in the wild. Come and meet our resident Tassie Devils at Devils Den! Did you know Tasmanian Devils are the world's largest living marsupial carnivore and for their size they have the strongest bite force of any mammal? Learn how these iconic Aussie devils are facing the real threat of extinction in the wild due to the fatal Devil Facial Tumour Disease (DFTD) and what zoos have done to help save them and what can you do to help. On Sundays, come down to Kakadu Gorge and watch our fearless keepers feed the mammoth saltwater crocodile, Rocky! If you would like some more information please visit here. 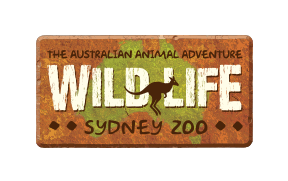 When is the quietest time to visit WILD LIFE Sydney Zoo?